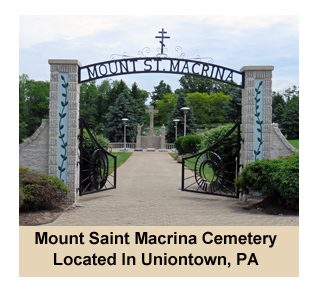 Rome Monument designs custom monuments and headstones for families that live in the city of Uniontown and other towns in Southwestern Pennsylvania. 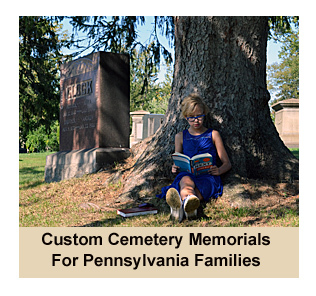 Since 1934, our family owned and operated monument company has been memorializing tight-knit families that call Southwestern Pennsylvania their home. We honor the heritage and legacy of Pennsylvanians by creating heartfelt designs, unique artwork and just the right inscriptions. Our monument company, based in Western PA, prides itself on compassionate and professional service along with expert stone cutting, carving and etching craftsmanship. In the early 1800’s, Uniontown became an important stop along the National Road, and some of the oldest graveyards west of the Alleghenies are found here. The Old Methodist cemetery, located off Peter Street in Uniontown, was established in 1790 and is one of Uniontown’s earliest cemeteries. Surprisingly, most of the headstones are still standing and in very good shape. The Historic Public Cemetery, also known as Presbyterian graveyard and Oakhill Cemetery, is near the corner of Bailey and Pennsylvania Avenues and dates back to 1797. 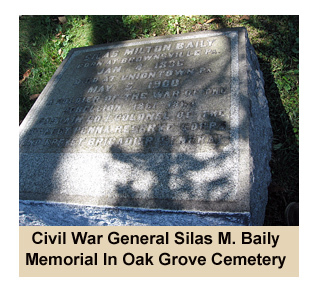 Oak Grove Cemetery in Uniontown, established in 1867, contains the graves of many prominent figures in government, business and education as well asveterans of every war from the Revolutionary to Vietnam. 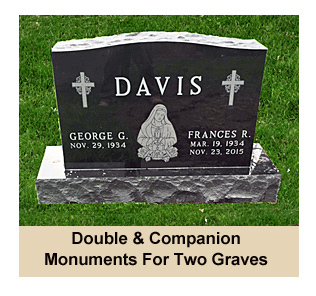 When a customer orders a monument or headstone, our monument designers start by creating a CAD drawing of the monument. One of designers then presents this to our customer for approval. Once the memorial design is approved, our craftsman take their time, sometimes a month or two, to perfectly manufacture the lasting tribute. Before the monument has even been completed, we are already taking care of the cemetery paperwork and installation details. 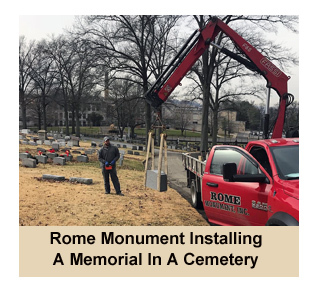 When the work of crafting the monument has been completed, we drive our installation truck to the cemetery and then install the memorial above the appropriate grave site. these unique headstones and cemetery memorials are showcased in easy-to-understand categories in our online Design Gallery. 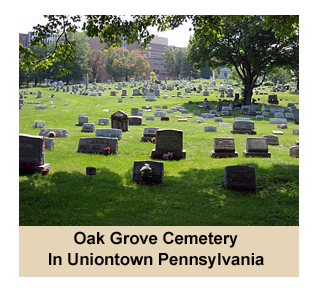 We install cemetery memorials in every cemetery in Southwestern Pennsylvania including the following memorial parks in and around the city of Uniontown.